The Wooster Memorial Grove playground that was closed yesterday until further notice will re-open to the public at 10am on Friday, July 13, 2018. 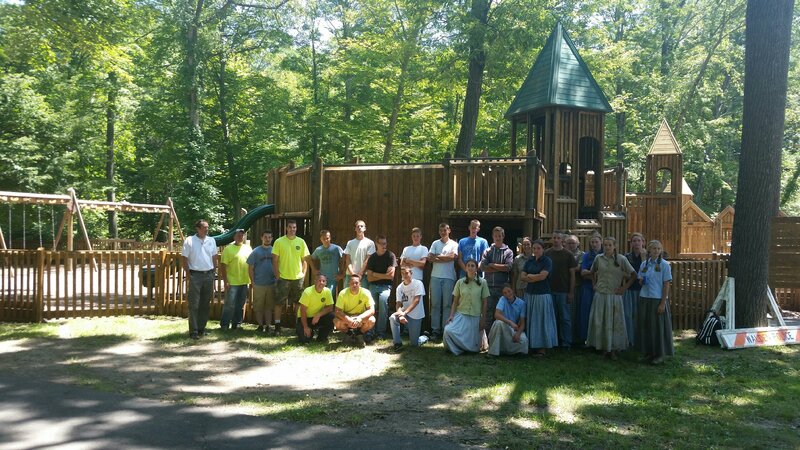 Again, thank you for your patience while we did some routine maintenance to the amazing playground at Wooster Memorial Grove yesterday! We hope you enjoy the hard work of some great volunteers and our amazing staff to keep the playground looking wonderful and in the best condition possible to last for years to come! Thank you to the Bruderhof Community for your dedication and hard work.